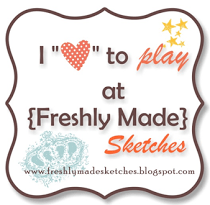 Welcome to our “Just for Fun” Blog Hop! We will be featuring all of the Fundamentals and coordinating ribbons and complements that are part of the November special! If you have come here from Melissa Robinson’s Blog, you are on the right path! The blog hop is a great big circle, so you can start here and work your way all around. If you get lost along the way, you’ll find the complete list of participating consultants on Melinda’s Blog. Supplies Used: Adventure Fundamentals Paper Packet, Happy Moments Complements, Make It From Your Heart Vol. 3, Adventure Ribbon Pack, Shimmer Brush, and Gold Glitter Gems. These papers are so easy to mix and match to coordinate with your photos! 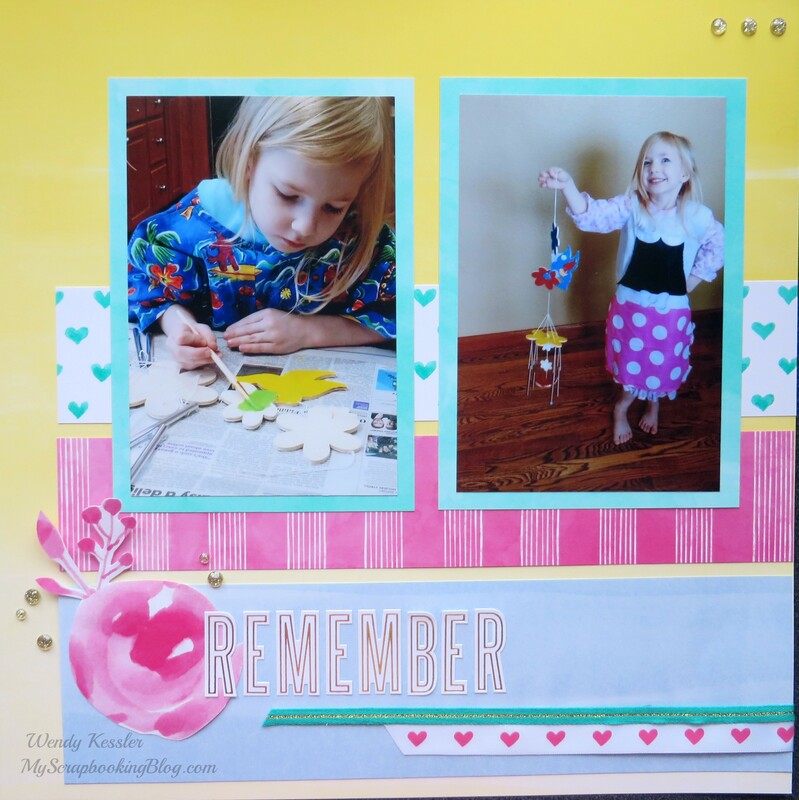 This layout was so quick, using the coordinating paper and complements along with the new Make It From Your Heart! For the flower, I cut it out of the fundamental paper and added a little sparkle to it with the Shimmer Brush. 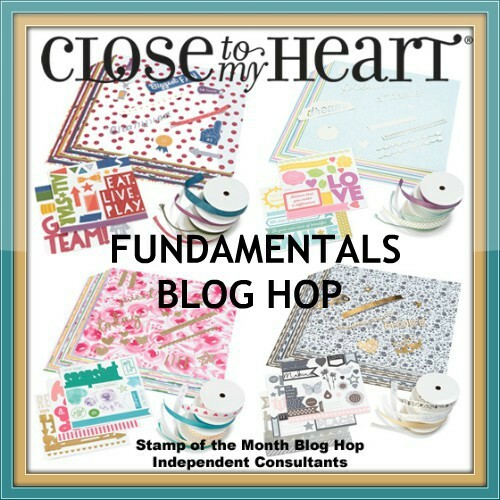 Now “Hop” on over to Melinda Everitt’s Blog to see her work! Be sure to visit all the Consultants at their Blogs to get some great crafting ideas and other fun ideas! Visit my website to see the different bundles and products available at a 30-40% discount! Bundles are “while supplies last” so get yours today!